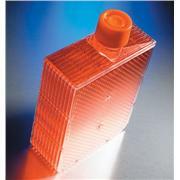 …access to growth surface. 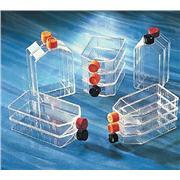 A choice of phenolic style caps, plug seal caps and vented caps for sterile gas exchange. 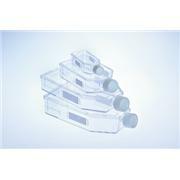 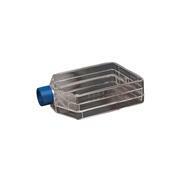 The 75 cm 2 canted neck tissue culture flask has a wide mouth for easy pipet access. 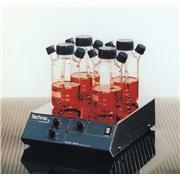 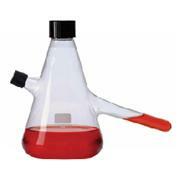 All flasks are individually pressure tested and treated for optimum cell attachment and growth. 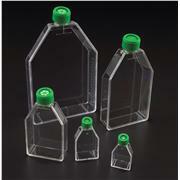 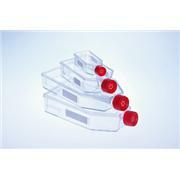 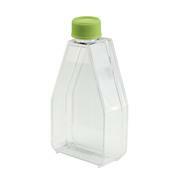 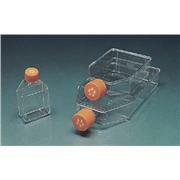 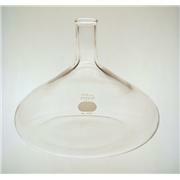 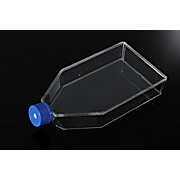 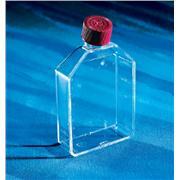 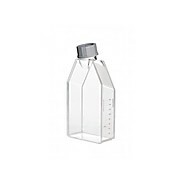 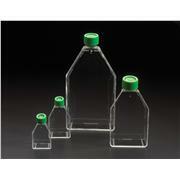 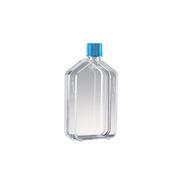 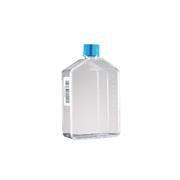 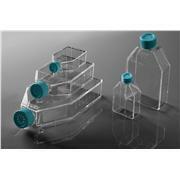 Screw cap This wide mouth flask is designed for culturing organisms requiring a large surface area to volume ratio. 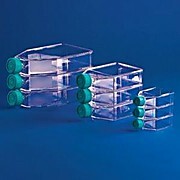 Triple baffled on the bottom outside edges to achieve maximal oxygen transfer to culture medium. 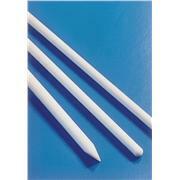 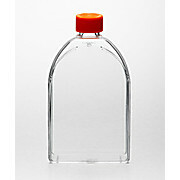 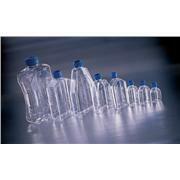 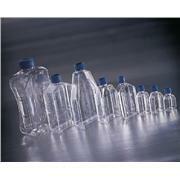 Supplied with GL45 orange polypropylene cap. 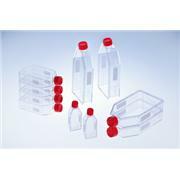 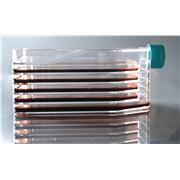 …caps (no membrane) and vented caps (with breathable membrane) are available Clear lot number for batch traceability Non-Pyrogenic, DNase/RNase-FREE Denville® cell culture flasks have an even surface, and Vacuum Plasma tissue culture treatment ensures maximum, uniform cell growth. 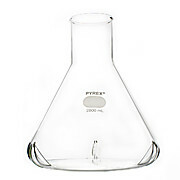 … Broad base increases stability Flask shape minimizes slushing into neck and accessibility to entire growth surface area PLEASE NOTE: Trueline flask discontinuations will be effective April 1st, 2018. 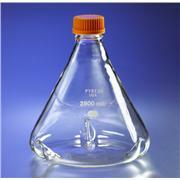 Upon depletion of inventory the flasks listed below will no longer be available.